I love when I get the chance to follow a couple from engagement to marriage and capture both important moments on camera. Last Spring, I captured Craig and Cara’s Southern-Minnesota engagement against a lush green backdrop. Fast forward to this fall, and I finally had the chance to hear the couple say “I do.” Their wedding took place at a new outdoor venue in my hometown, Le Sueur, Minnesota. Cara and Craig were surrounded not only by their closest family and friends, but also by jaw-dropping landscapes and a beautiful, rustic barn. 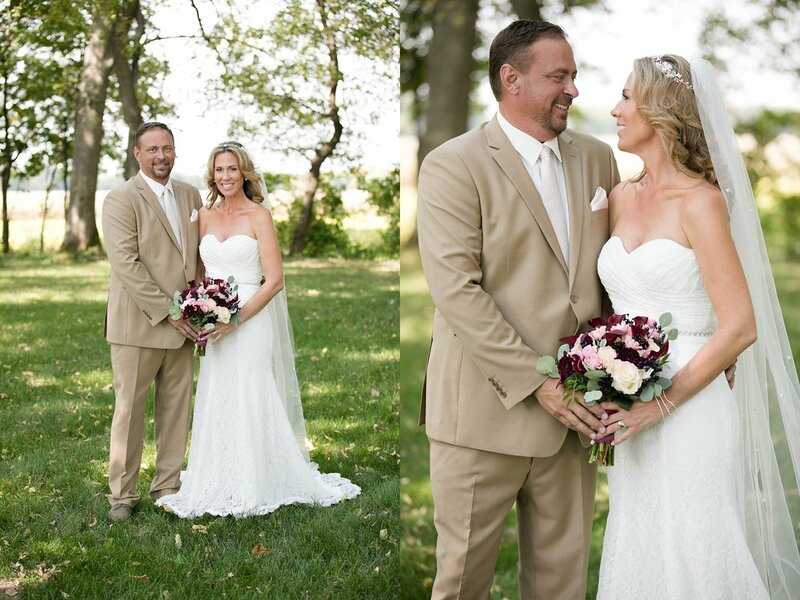 Catered by Number 4 located in Mankato, MN, this wedding (and ceremony) was one for the books! The soft white of Cara’s dress, paired with her long blonde hair, bright smile, and breathtaking bouquet, left all eyes on her as she approached her groom-to-be. His sophisticated, tan suit paired beautifully against the woodsy backdrop, and every moment felt so elegant I forgot I was in a refurbished barn! Choosing just one favorite moment from Cara and Craig’s special day is simply too difficult. From the pouring of sand by the couple and their children, to the intimate moments captured behind the scenes, every minute of the late September day was picture perfect… no pun intended.